Lightroom is the core app around which my business revolves. I love it; it quadruples my productivity; the math they did to make it work is incredible, and frankly, if they charged $1,500 instead of $150 I would still buy it. The caveat? I have said it before: I am not a fan of Adobe CC. 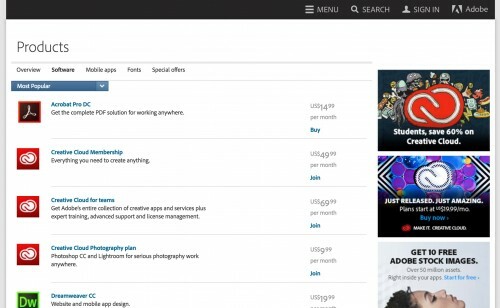 “CC” stands for “Creative Cloud”, and it is a suite of products for a monthly fee. Great technology, wonderful, and worth a lot—but not that much. 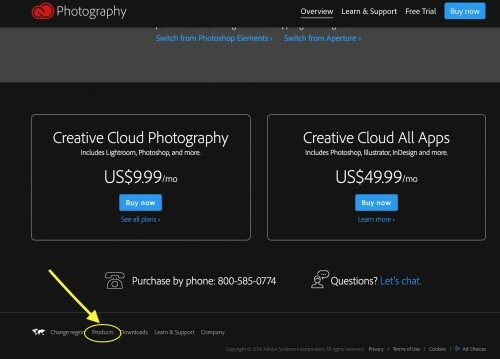 First, even with upgrades over the years, that monthly fee works out much higher than the stand-alone product, if Lightroom is all you use, And most photographers do not need Photoshop. Illustrators do, but we’re not illustrators. But that is not my main gripe. My main objection is: I buy a product that is completely essential to my company and hence to my income. And now when I have the CC version, Lightroom “calls home” at regular intervals to check whether I am allowed to use it. Didn’t pay bill? No Lightroom for you. Bank screwed up? No Lightroom for you. You’re in Africa when it’s time to call home, so no Internet connection can be made? No Lightroom for you. Database problems? No Lightroom for you. Account hacked? No Lightroom for you. And so on. And these things really happen—they are not mere theoretical possibilities. I simply cannot allow mission-critical software that necessitates me asking politely for permission to please use it. So I, and you too may want to, buy the stand alone version for $149 once only, instead of the CC version for the “introductory” (i.e. will-go-up) fee that starts at US$9.99 per month. 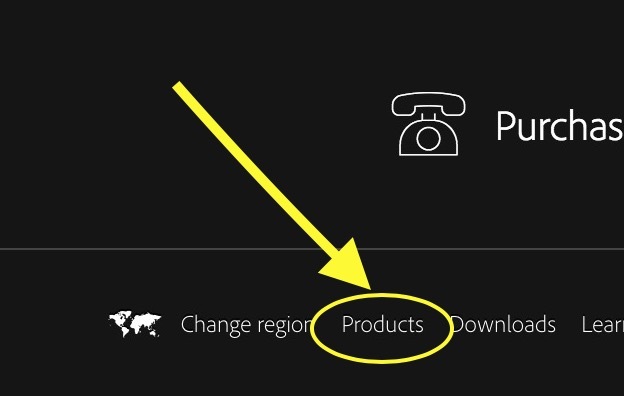 And you see, at the bottom on the left, the tiny, tiny “Products” link? That is, as far as I have been able to tell, the only way to get to the non-CC product. While it is still available. Which will not be forever. The link above is for Canada, but there’s similar pages for others. You may also be able to buy copies in a box, in stores like Henry’s. But that too is very hard to find. Back to regular business. But if you have not checked out Lightroom: go get it. Free 30 day eval, after which you decide to buy it—or not. And if you have bought it, do consider having me help you set it up properly, and fix any errors. Good news: anything you get wrong can be fixed later. Lightroom really is a fantastic app, but you do need to put some thought into how to organize your files. A few hours of private consulting and you too, like me, will dramatically increase your productivity. Drop me a line or give me a call to explore the options, and see http://learning.photography. This entry was posted in Business, Digital Darkroom and tagged Creative Cloud, Lightroom by Michael Willems. Bookmark the permalink. I’m in total agreement of NOT using CC, but for different reasons. Servers all over the world, including government Servers, are being hacked. This is not happening once in a while, it’s happening daily. Just follow any privacy/security blogs like Graham Cluley, or the Hacker News and it’s just plain disturbing how much our privacy is compromised every single day. Getting names, addresses, and phone numbers is one thing, but when they get photos and can link the two together, that’s a recipe for disaster. Identity theft happens without photos, but photos make it all the more easier. If you read the ultra fine print on most cloud services, they tell you, in very indirect and highly confusing legalese, that by signing onto their cloud service, anything you upload now belongs to them and they have full rights to scan it, read it, data-mine it, or do whatever they want with it. 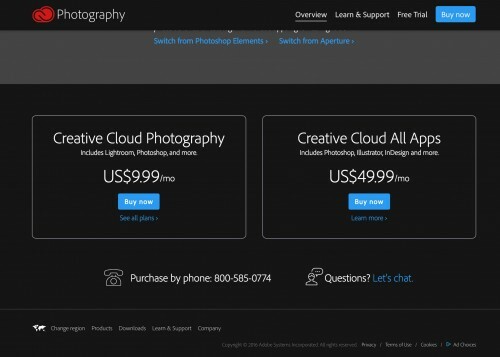 I’ve never read the Adobe CC legal statement because I don’t use the cloud at all. 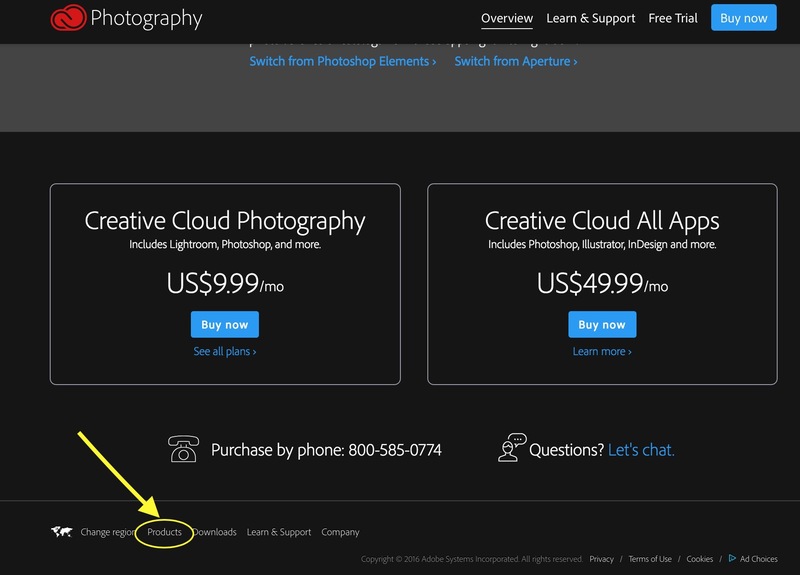 Perhaps Adobe is not as Draconian as Facebook, Google, or other cloud services who encourage you to put your photos online. Do we really want to give away what little we have left of our privacy to the cloud empire? I don’t. It’s none of Adobe’s business, or anybody’s business what I do with products I purchase and it’s certainly not their business to profile my private life with photos. When we upload photos, regardless of “security” settings, we voluntarily give away what little privacy we have. I understand that for Pro’s, the cloud has a very big benefit in offsite backup storage. OK, fair enough, but for the use of online software so that the software manufacturer can track and profile every single button click that I make, no thank you! If you really think about it, cloud software isn’t all that much different than condo fees – you pay for the rest of your life! Why not just buy it once for your own computer and periodically check for updates? 1. I don’t think we’re giving FB etc all rights. Som, but definitely not all. I did what Mike recommended. It is the best option. Adobe just likes locking in regular cash flow from the subscriptions. It makes sense that way. I do like having full control of applying updates. It seems like Apple and Adobe have their Microsoft moments now. And updating LR can be delayed by an Apple OS change. Not sure if CC is flexible, but there is merit in delayed upgrades. Thanks Michael, this tip helped me buying the full version of LR 6 without monthly payments when I purchased it last year (2016). 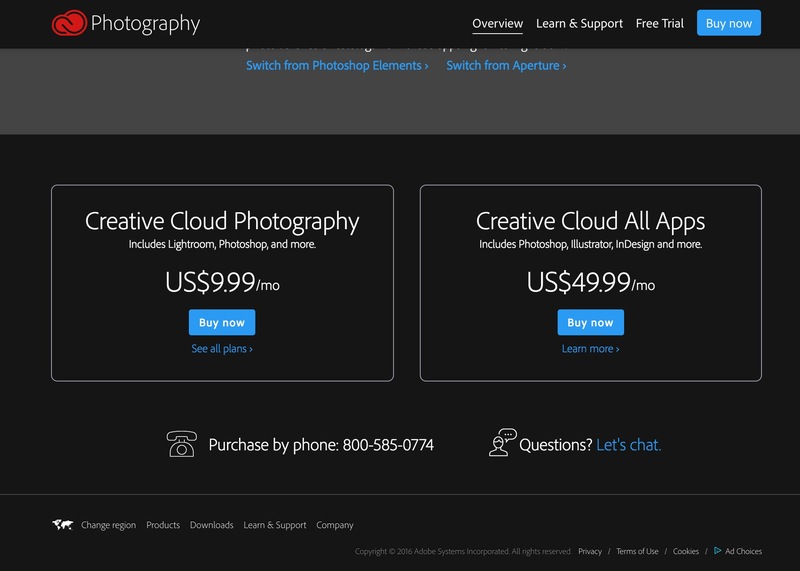 Looks like they disabled it now for Photoshop, I only see the monthly payments option. Yes, the writing is on the wall, unfortunately.